Traveling to resorts is all about ease and getting everything you need in one place. Whether you're dining at the resort restaurant, snacking poolside, or ordering room service, finding a resort you can trust with your food allergies is essential. Few things replace a recommendation from another food allergy or celiac family. 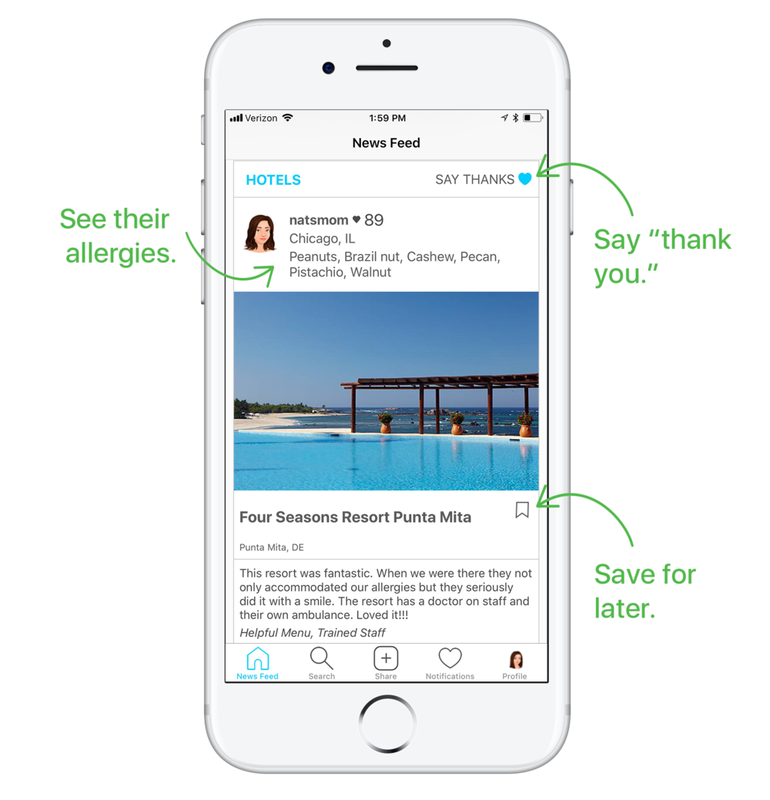 See recommended resorts from other Spokin users — just tap "Search" 🔍 at the bottom and type "Resorts." What you can do on Spokin! "Absolutely amazing allergy experience. The hotel sent all of my son's allergies to each of the resort restaurants ahead of our reservations so that when we arrived to eat, they were already prepared to handle modifications. They were also kind and empathetic to my son regarding his allergies. I could not be more pleased with our experience." "My kids STILL ask when we can go back to Great Wolf Lodge and we went 3 years ago! Every meal we had a chef come to our table and ask the kids what they wanted to eat. If they didn't know the chef would offer awesome suggestions. They even brought them all dessert! Amazing experience!" "This resort was fantastic. When we were there they not only accommodated our allergies, but they seriously did it with a smile. The resort has a doctor on staff and their own ambulance. Loved it!!"